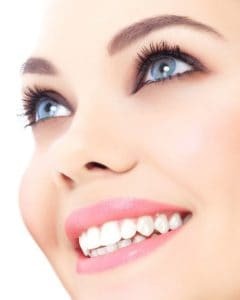 Dr. Brian P. Maloney, world-renowned educator and double board-certified facial plastic and reconstructive surgeon, performs Skin Rejuvenation in Atlanta, Georgia for residents of the metropolitan area including Sandy Springs and other surrounding communities. Patients from around the world trust Dr. Maloney to provide the highest levels of compassionate care and technological innovation to help them achieve a revitalized look for their face. Exposure to environmental factors and the aging process can stress and damage your skin. Fine lines, wrinkles, acne scarring, sagging skin, and smile lines can detract from your desired look and affect your self-esteem. When you feel good about the way you look, you feel better about yourself. Skin Rejuvenation offers patients a superior option to ineffective lotions and creams that promise to erase the signs of aging but don’t produce desired results. Skin Rejuvenation uses minimally invasive techniques to provide patients with an alternative to more extensive surgical procedures. View before and after photographs. An emerging trend called “PreJuvenation” indicates that young people between the ages of 20 and 30 are using Facial Fillers and Botox® Cosmetic as a preventative measure. Facial muscles that cause wrinkles can be trained to move less early on, thus stopping wrinkles before they start! Early maintenance can eliminate larger, more invasive procedures, and delay the need for cosmetic surgery later. It is important to know that Social Media makes younger patients increasingly aware of their lines and wrinkles, and thanks to celebrities and the internet, they know that there are ways to correct it and maintain their youthful skin. Dr. Brian Maloney and The Maloney Center for Facial Plastic Surgery have been selected by Allergan®, a leading manufacturer of Injectable Fillers, as a national training center of excellence. Allergan® products, include Juvéderm®, Botox® Cosmetic, Voluma® XC, Volbella®, and Latisse®. Dr. Maloney takes a patient-centered approach that considers each individual’s unique aesthetic goals. Some Skin Rejuvenation treatments may not be optimal for patients with certain conditions and medical histories. The best way to determine which Skin Rejuvenation method is right for you is by private consultation with Dr. Maloney. During this time you can discuss your medical history and ask any questions about the procedure under consideration. After evaluating your situation, Dr. Maloney will discuss the Skin Rejuvenation options that best meet your needs.